In the early 1960s, a former field was planted with a great biodiversity of trees, bushes, and shrubs from all parts of the world. Throughout the seasons, the forest botanical garden offers nature experiences of a particular kind: a ravine full of rhododendrons, a heather garden, a field overflowing with different types of peonies, and a Japanese partition with cherry blossoms and colourful azaleas. The autumn colours of the downy Japanese maple and the fragrant katsura tree also draw visitors to the garden. A 1.5 hectare large forest is the new habitat of many north-American trees, among them the giant sequoia, yellow pine, incense cedar, and the Colorado white fir. The neighbouring, 20 hectare large, freedom forest to the south, which was planted in the 1980s, contains trees and bushes from all states to which, at the time, the German Republic held diplomatic relations. 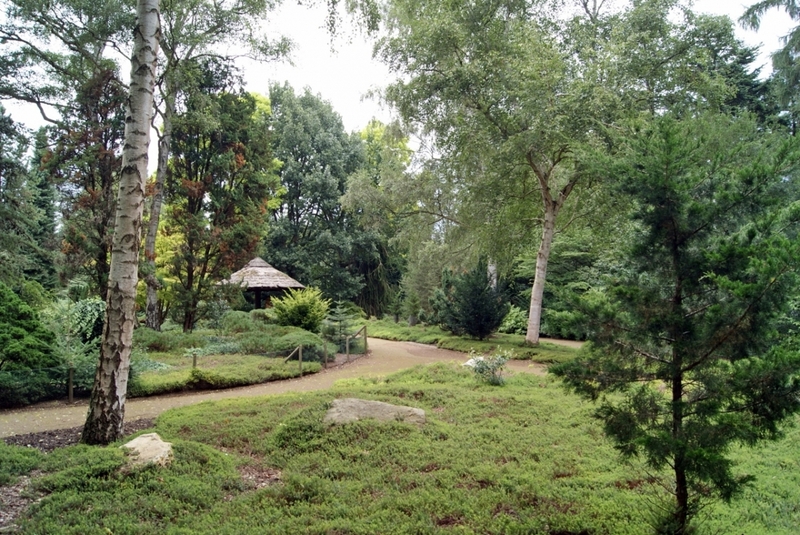 The forest botanical garden in Rodenkirchen, a southern district of Cologne, is approximately 25 hectare large. It is part of the outer green belt around Cologne and also part of the former defence structure. 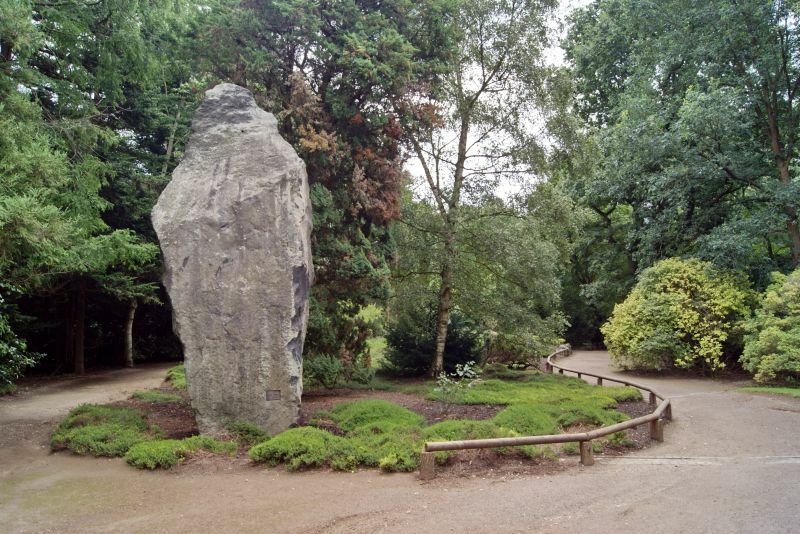 In the autumn of 1962 the construction work for the forest botanical garden began. It was intended to be a garden in which botanists but also layman as well as garden enthusiasts could find great biodiversity and thereby inspiration with many species to study. Until the First World War the area had belonged to the outer fortification ring around Cologne. Today the rhododendron ravine reminds visitors of the position of the infantry base Hermannshof, which was blown up after the First World War. The debris was integrated in the horticultural design and nowadays is integrated in the so-called rock garden. The ravine coincides with the former front and the surrounding path corresponds to the former gun emplacement. Thanks to the garden’s very positive development, its visitors can enjoy manifold nature experiences throughout the seasons, especially with the mix of numerous indigenous garden plants and foreign trees and other exotic shrubs. Today, visitors can admire the growing diversity in the rocky rhododendron ravine, a heather garden (ericaceae), a large collection of peonies (paeonia) and Japanese flowering cherry trees, as well as many types of azaleas such as the Azalea pontica. In autumn the visitor is dazzled by the beautiful colours of the downy Japanese maple (Acer palmatum) and the fragrant katsura (Cercidiphyllum). Bamboo(Bambusoideae) also belongs to the collection. One can discover north-American trees such as the giant sequoia (Sequoiadendron giganteum), yellow pine(Pinus ponderosa), and the Colorado white fir (Abies concolor) spread over a large part of the forest. In the centre of the enclosure, a water-lily pond with fountains invites the visitor to take a rest. Poisonous species are also shown. For example, a belladonna with yellow berries (Atropa belladonna)exists alongside the variety with black berries, and the toxic laburnum (Laburnum anagyroides) grows here too. The neighbouring, 20 hectare large, freedom forest to the south with vast lawns and trails, which was created in the 1980s, contains trees and bushes from all states to which, at the time, the German Republic held diplomatic relations. The countries whose tropical and subtropical vegetation is not hardy enough, are represented by symbolic tree crops. Free guided tours on the first Wednesday each month at 14:30 and each third Saturday at 15:00.